John was born in 1882 and at the time of enlistment in August 1914 was married to Teresa and living in Ritherup Lane. His occupation was given as a “mental attendant” which probably means that he was a male nurse, possibly at Rainhill Hospital. His army records are scant but we know that on 21st March 1918 he was reported to be a prisoner of war in Germany. He was repatriated to England on 16th January 1919 and transferred to the army reserve. Copies of records in our possession show his signature when he signed for his British War and Victory Medals. 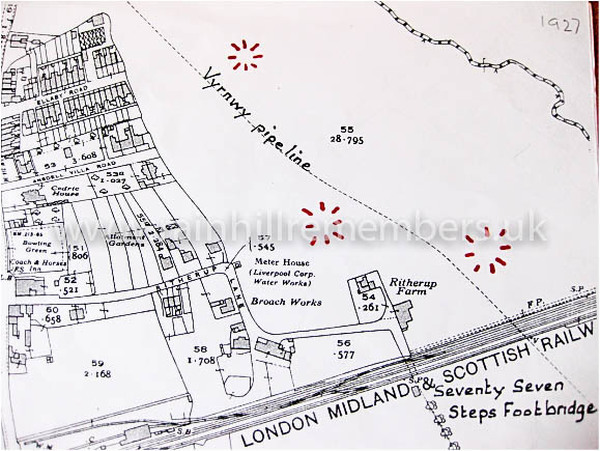 This map of 1927 shows how few houses there were in Ritherup Lane when John was living there. It shows its proximity to the railway and Rainhill Station.